Jim Esposito is expected to be named as co-head of Goldman Sachs's securities division, according to a person with knowledge of the matter. Esposito is part of a small group of executives thought to be within David Solomon's inner circle. The official announcement of Esposito's promotion is expected soon, and may be announced as soon as Monday. The co-chief operating officer of the fixed-income, currencies and commodities unit for less than a year, Esposito will now help run a division that led Goldman to the top of Wall Street in the years surrounding the financial crisis only to fall on hard times more recently. The business is now trying to refashion itself into one with a more client-friendly approach. Known throughout the firm as "Espo," he was one of six executives tasked with running the sales and trading department after Pablo Salame and Isabelle Ealet announced their exit in May. Varadhan, who has been co-head of the division since 2014, was another. Insiders have said the six-person leadership structure is unwieldy and unsustainable, and it's unclear what Esposito's elevation means for the other four execs. He'll continue to be based in London, while Varadhan works from New York. A Goldman Sachs spokesman declined to comment. The Wall Street Journal reported the news earlier on Sunday. Prior to his current role, Esposito was the chief strategy officer of the securities division and co-head of global FICC sales. 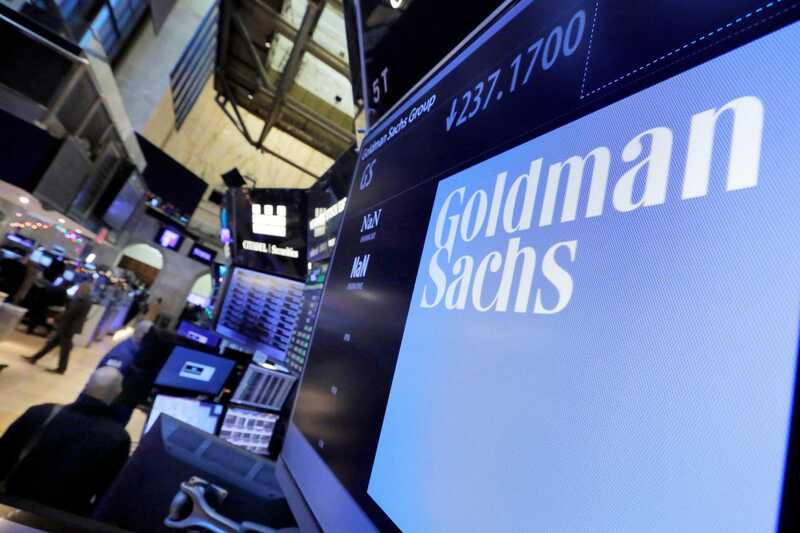 Before that he was co-head of the global financing group, now considered a training ground for senior leaders as Solomon, who made his career in leveraged finance, readies to take over from CEO Lloyd Blankfein in October. Esposito is one of a handful of executives considered by insiders to be in Solomon's inner circle, Business Insider reported in July. Of all the top sales and trading leaders, Esposito may be the one with whom Solomon is most comfortable, a person who knows both men said last month. 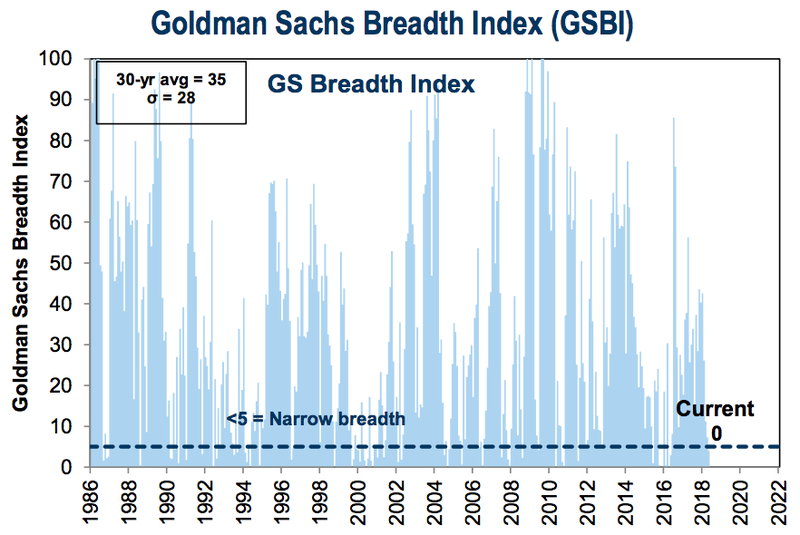 Goldman Sachs closely monitors a measure called "breadth," which assesses the degree to which the market's returns are being driven by a small handful of stocks. The firm's breadth signal is flashing yellow, and Goldman says investors should be wary of a meltdown. There is, however, a surprising market dynamic playing out that could help insulate stocks from a surefire sell-off. 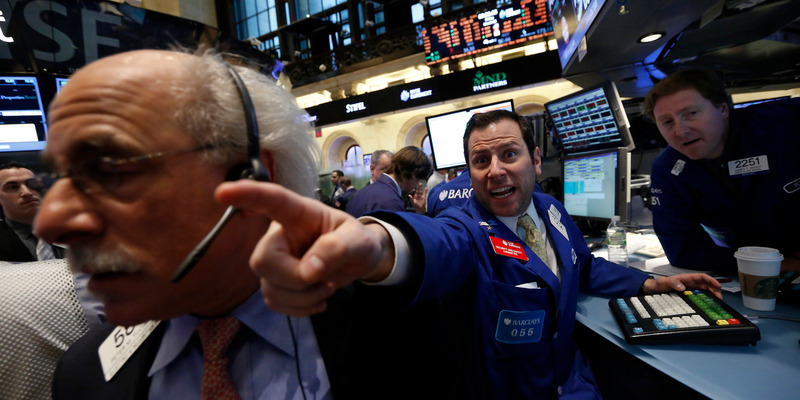 As the stock market enjoys one of the best earnings seasons in recent memory, an ominous situation is threatening to bubble up under the surface. It has to do with the market's heavy reliance on just a small handful of stocks, bringing a closely watched measure known as "breadth" into potentially perilous territory. Goldman Sachs finds that the top 10 contributors have accounted for 62% of the 7% year-to-date return in the S&P 500, which has has breadth hovering near its lowest level on record. And of those 10 companies, nine are in the tech sector. This is reflected in the chart below, which shows that a breadth index maintained by Goldman that provides readings between zero and 100 is sitting at, you guessed it, zero. So what's the big deal? Allow Goldman to explain. "From a fundamental perspective, narrow market leadership typically reflects narrow earnings strength, which is often a symptom of a weakening operating environment," David Kostin, the firm's chief US equity strategist, wrote in a client note. What's more, the decline of breadth to such low levels has historically preceded meltdowns on both the market and economic fronts. The period immediately before the tech bubble was marked by extremely tight breadth, while similar conditions in 1990 and 2008 preceded economic recessions. Breadth was also notably low during nonrecessionary economic slowdowns seen in 2011 and 2016, according to Goldman. "Usually these narrow bull markets eventually led to large drawdowns when investors lost confidence in the increasingly expensive handful of crowded market leaders," Kostin said. 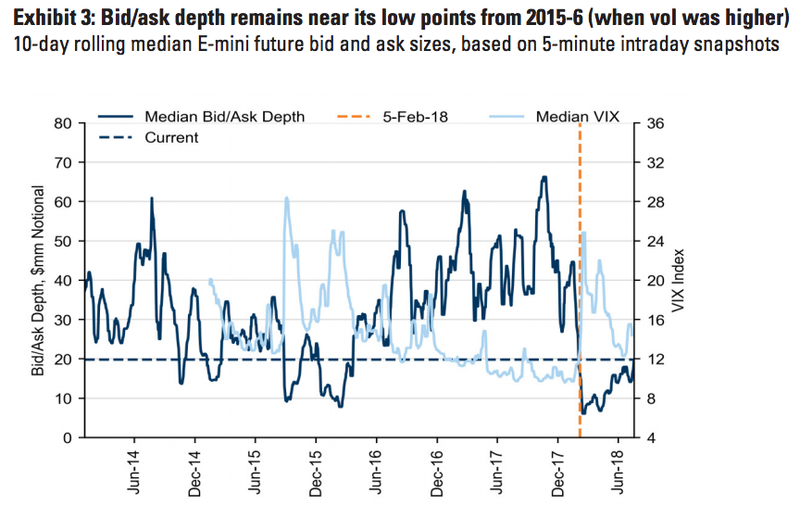 With all of that haunting precedent to consider, Goldman still thinks the market can come out OK, at least in the near term. And that's because the conditions surrounding this particular instance aren't as troublesome as they were during past periods of turmoil. It all boils down to today's earnings landscape, which Goldman identifies as a saving grace of sorts for the market. While market returns are highly concentrated into a handful of stocks, Goldman finds that the earnings environment is surprisingly broad-based. The top 10 S&P 500 stocks account for just 20% of index earnings, which is right around average for the past several years, and just below the 30-year average of 21%, according to Goldman data. Going forward, it will be up to investors to continue assessing the relationship between market breadth and its earnings-specific counterpart. If corporate profits stay widely distributed by comparison, it should alleviate some worries that a major stock sell-off is imminent. It's when earnings breadth starts dipping that investors should start to worry, so keep your eyes peeled. President Donald Trump and China have been engaged in a tense trade war for over five months. Both sides recently increased tariff threats. 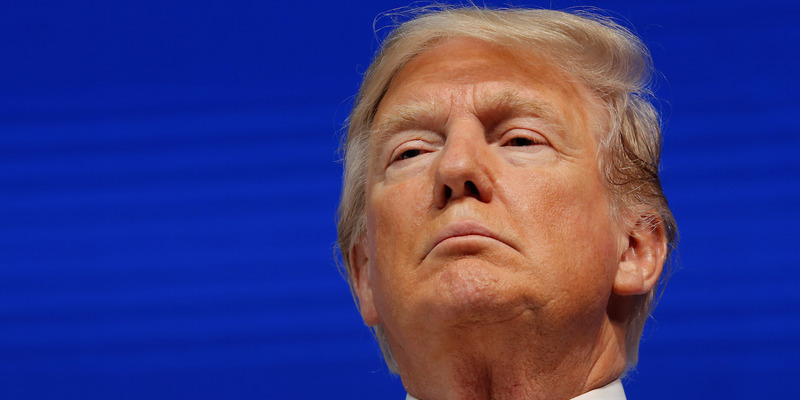 Trump threatened to slap a 25% tariff on $200 billion worth of Chinese goods, while China threatened tariffs on another $60 billion worth of US goods. The two sides do not appear to be talking, either, which raises the chances of a drawn-out trade war. President Donald Trump's trade war with China is entering its sixth month, and there are no signs it will end anytime soon. Both Trump and China continue to issue new threats of tariffs. And negotiations have been scarce, increasing the possibility of a drawn-out fight. Ed Mills, a policy analyst at Raymond James, said in a note to clients that while the possibility of a breakthrough deal remains, it is unlikely to come without increased trade restrictions. "We remain extremely concerned about the potential volatility between now and a breakthrough, especially as both sides are more inclined to elevate tension than blink," Mills said. The trade war kicked off in earnest in July when Trump imposed a 25% tariff on $34 billion worth of Chinese imports to the US, prompting China to respond in kind. Trump then threatened to slap a 10% tariff on another $200 billion worth of Chinese goods, again leading to a counter-threat from Beijing. The action intensified on Thursday, when US Trade Representative Robert Lighthizer announced that Trump instructed the USTR's office to examine the possibility of raising the tariff rate on the $200 billion worth of Chinese imports to 25%. China then retaliated with a threat on Friday to hit $60 billion worth of US exports to China, with tariffs ranging from 5% to 25%. If China follows through on the threat, nearly 90% of all US goods heading to China will be subject to tariffs. In addition to the possible second wave of tariffs, the two sides have also been digging in publicly. Larry Kudlow, the president's chief economic adviser, told Bloomberg TV that Trump is not afraid of dragging out the fight with China. "Their economy's weak, their currency is weak, people are leaving the country," Kudlow said. "Don't underestimate President Trump's determination to follow through." At the same time, China has expressed a willingness to go to the mat over tariffs. The Chinese Ministry of Commerce said Friday that if US continues to "blackmail" China, the conflict will only intensify. Kudlow, a former Wall Street economist and CNBC host, told Marketplace's Kai Ryssdal that talks with the Chinese have stalled out. "Virtually nothing has happened in a trade dialogue with China in a month or six weeks," Kudlow said. "We haven't heard from them." Kudlow also told reporters on Friday that the administration held a call with China within the past few days involving high-level officials. But multiple reports indicate that prior to the call, there has been almost no dialogue for the past month. Mills said all signs point to the trade fight to sticking around for the foreseeable future. "Regardless of a potential breakthrough, we believe that this Chinese trade fight will last well beyond the midterm elections as the reforms sought by the Trump Administration will be difficult for China to accept and implement." Mills said. 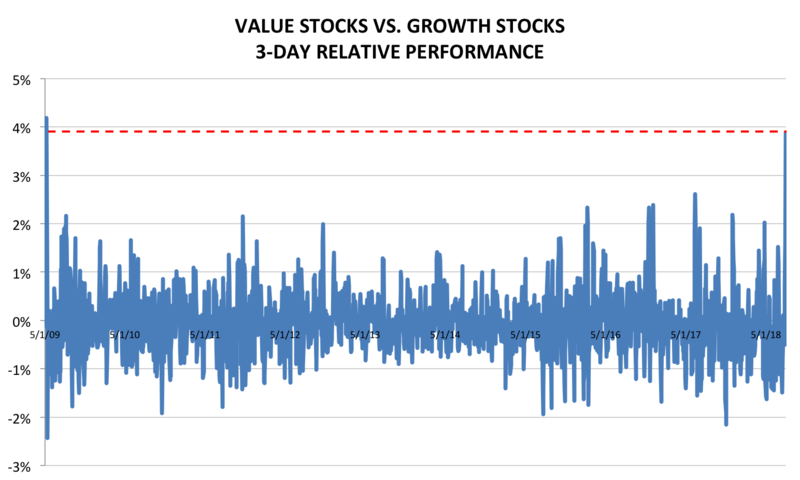 Value stocks have gotten crushed by their more growth-driven peers over the course of the nine-year bull market, but the tide appears to be turning in their favor. Investors looking to play the recent value rebound would be well served to seek out the three industries that carry the heaviest weightings in the Russell 1000 Value index. Don't look now, but a much-maligned area of the stock market appears to be mounting quite the comeback. We're referring to so-called value stocks, or equities characterized by their bargain pricing, relative to the rest of the market. 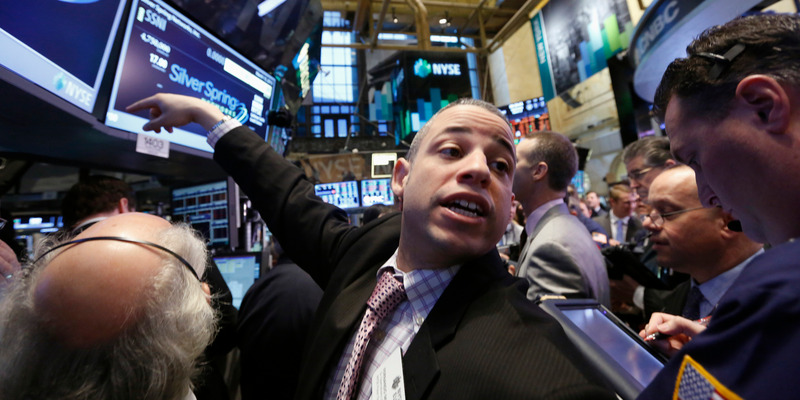 They've beaten their growth-stock brethren by 4% over the past three days, the biggest outperformance since May 2009 for a period of that length, according to data compiled by Business Insider. Put simply, value is having a resurgence not seen since the aftermath of the financial crisis. To best understand why this reversal is such a big deal, consider that value stocks have lost a cumulative 40% relative to their expensive peers worldwide since 2009, and have trailed the broader market by 17% over the period, according to Bernstein data. The reason why is straightforward: As stocks have climbed higher in seemingly unstoppable fashion, there's been no reason to seek bargains. Proven winners — most notably in the mega-cap tech space — have continued to dominate. 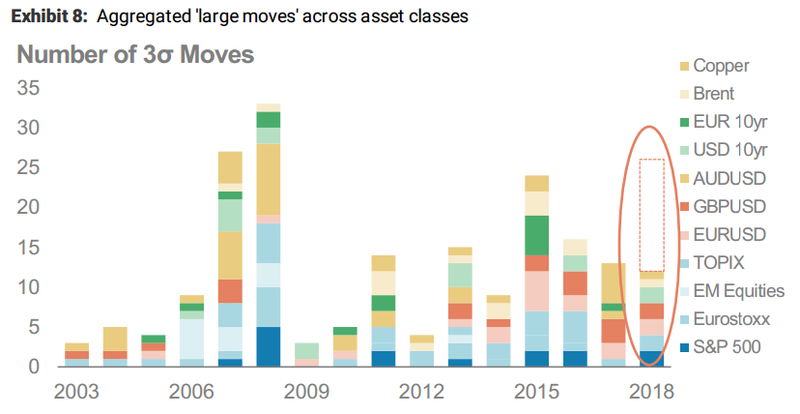 And as traditional measures of valuation have gotten stretched, investors have shrugged and stayed the course, citing robust profit growth and easy lending conditions. That's all come at the expense of the value trade. So what does it mean if the value resurgence is here to stay? For one, it throws a bit of water on the idea that the market is in a late-cycle environment, since such periods have historically seen growth stock outperformance. It also throws a bone to value investors, who have struggled to keep pace with their more growth-driven peers. With all of that established, the question becomes what you, the average investor, can do to benefit from a value rebound. The key lies within the areas that occupy the heaviest weightings in the largely downtrodden Russell 1000 Value index: financials, healthcare, and energy. A quick check from the past week shows these groups have, in fact, been leading the market as long-standing outperformers like mega-cap tech falter. It appears, for the time being at least, that as historically stretched tech stocks lose their luster, traders are content to rotate into unloved areas, rather than completely exit the stock market. It also doesn't hurt that the biggest financial firms in the US are coming off a stellar earnings season, led by strong results from JPMorgan. Meanwhile, healthcare companies have enjoyed the highest percentage of positive earnings surprises, according to Goldman Sachs data. And energy, ever-beholden to the price of oil, has arguably the biggest upside, should the resource maintain the steady ascent its seen over the last 12 months. In the end, an open-minded investor could do a lot worse than exploring the value stock universe for bargain-basement opportunities, especially amid the resurgence that appears to be underway. President Donald Trump is aggressively pursuing protectionist economic policies. Tariffs, however, cause prices to rise and can stall growth. Analysts are warning that 1970s-like stagflation could be ahead. 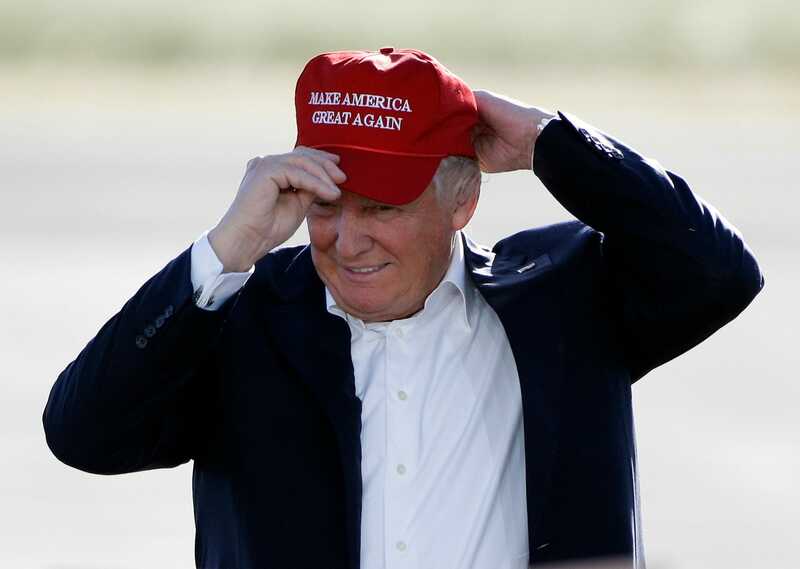 In a broad effort to rearrange global trade relationships, President Donald Trump has slapped tariffs on some of the US's biggest business partners. And as effects of protectionism kick in, analysts caution against heading toward a repeat of the 1970s, when rising inflation, high unemployment levels, and stalling growth plagued the economy. Washington and Beijing have followed through with $34 billion worth of tariffs on each other, and Trump has threatened to impose additional duties on as many as all Chinese goods sent to the US. Trump has also started trade fights with Canada, the European Union, and Mexico. In a recent note, Macquarie analysts wrote that protectionism "could start influencing inflationary expectations, including a potential for stagflation, as wholesale prices rise." Tariffs so far have put upward pressure on input costs, which can work their way through the supply chain and lead firms to pass costs on to customers. In July, prices charged for goods and services rose at a record pace on the Markit purchasing managers' index. Analysts also caution that fiscal stimulus is poised to slow down around the world relative to the US, which could magnify this effect. Trump signed into law a sweeping $1.5 trillion tax overhaul last year and a $1.3 trillion spending bill in March. "That obviously could continue to pressure US inflation higher compared with elsewhere, not least if we add into the equation aforementioned issues concerning protectionism, oil prices and latecycle wage pressures," analysts at Nomura said in a recent note. Stagflation, however, is also characterized by high unemployment, and that is far from the case in the US. In fact, the unemployment rate has fallen to near multidecade lows this year. But in the face of a global trade war, that could quickly change. As tariffs raise costs, it can begin to weigh on company profit margins. For example, The Washington Post reports that one Indiana lawn-care company, Brinly-Hardy, recently cut nearly 40% of its workforce because of the trade war. Analysts expect protectionist policies to begin chipping away at economic growth in the US and around the globe, if they haven't already. Financial reports out in recent weeks show some companies have dimmed their earnings outlooks for coming quarters, citing uncertainty around tariffs. "No one wins in a trade war: global growth would suffer despite local inflation," Bank of America Merrill Lynch analysts wrote in a note last month. "Tariffs plus higher oil prices equal 'bad' inflation that could offset the consumption boost from higher wages/tax reform. We see stagflation as the biggest risk to equities." This past week, we talked to three security experts about how to design smarter and more secure smart contracts. Google is dipping its toe in the blockchain waters by introducing integrations for applications built with Ethereum and Hyperledger. The financial sector got some more love with the Digital Chamber of Commerce’s white paper to help cryptocurrency and ICO markets grow responsibly. Finally, 17 tons of almonds moved from Australia to Germany with real-time tracking and verification on the blockchain. In the most infamous smart contract hack in the industry to date, The DAO, a decentralized venture fund, lost 3.6 million ether in June of 2016, and the fallout of the attack saw Ethereum hard fork to recoup losses. Bitcoin Magazine talks with security experts Hartej Sawhney, co-founder of Hosho, Dmytro Budorin, CEO of Hacken, and believes that security can slip by the eye of software engineers because they “don’t have a quality assurance (QA) mindset.” Dmytro Budorin, CEO of cybersecurity community Hacken, and Amy Wan, CEO and co-founder of Sagewise, about how comapnies can ensure the security and quality of their smart contracts, as well as the role of the community in holding those companies accountable. Google is following a similar path taken by Amazon Web Services, Microsoft Azure, and cloud-hosting services offered by Oracle, Huawei and IBM to offer ready-made templates for their ‘blockchain as a service’ offerings.the latest tech giant to offer blockchain technology to its customers. 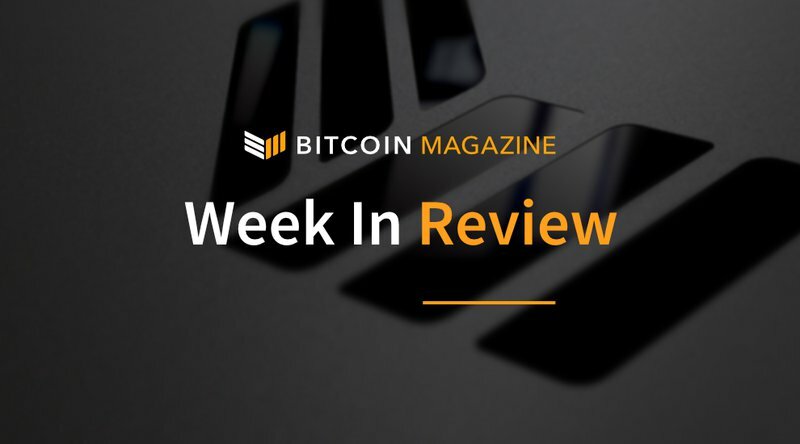 In an interview with Bitcoin Magazine, Hyperledger’s executive director Brian Behlendorf spoke about Google’s decision and how Hyperledger’s Fabric open-source nature, maturity and flexibility fits in with Google’s strategies. Blockchains carry the promise of making international money transfers cheaper and faster for all parties involved. 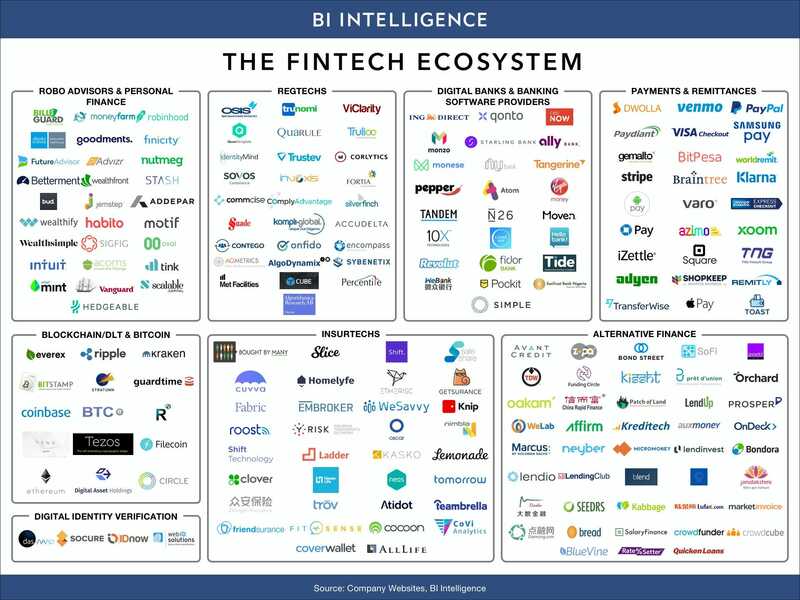 Once the technology has proven its speed and scaling abilities, investment banks and international settlements will undoubtedly become increasingly comfortable as transaction partners. Thomas Levene, founder of Best Blockchain Solutions Consultancy, discusses how major investment banks could make $10 billion in efficiency savings by utilizing blockchain technology and how new, upstart blockchain companies are challenging the status quo. The Chamber of Digital Commerce’s Token Alliance is producing a new group of guidelines built to help the cryptocurrency and initial coin offering (ICO) markets grow responsibly. Founder Perianne Boring tells Bitcoin Magazine how regulations could introduce legitimacy and protections into a landscape still obscured in popular opinion by skepticism and doubts that are made murkier still by persistent manipulation and fraud. Released as a whitepaper, the report is entitled “Understanding Digital Tokens: Market Overviews & Guidelines for Policymakers & Practitioners.” The paper specifically pertain to “utility tokens,” which provide users with future access to products or services. In these instances, ICOs will raise money for new blockchain products by offering investors future use of the items being developed (usually at a discounted rate). The shipment made its way to Western Europe in a pioneering experiment that combined a private blockchain, smart contracts and a geotracking Internet of Things (IoT) framework to facilitate end-to-end movement of the almonds. Using the joint solution, the entire process was seamlessly tracked and verified remotely from the point of origin to delivery in real time. “The BOJ is likely to cut bond purchases more drastically and more flexibly, which targets the super-long sector, to revive market liquidity and volatility,” Jun Ishii, chief fixed-income strategist at Mitsubishi UFJ Morgan Stanley Securities Co in Tokyo, told Bloomberg. It has become trendy to insist that everyone ignore the bond yield curve, and how darn flat it looks. The curve (allegedly) measures how risky investors perceive things to be, and a bond yield curve inversion can predict recessions. Recently, the curve has been distorted by central banks' bond-buying programs, which have artificially made the curve flatter than it might have been. So the curve is a bad signal, some people say. "This time it's different," a UBS economist told clients (in a tongue-in-cheek way). He called the curve signal a "myth." Here's why you should continue to obsess about the curve: It can signal risk despite central bank activity. LONDON — For an economic indicator that is allegedly not a reliable signal for impending recessions, people sure are talking about the flattening of the bond yield curve a lot. Recently, it has become trendy to insist that everyone ignore the yield curve. "The yield curve is not an indicator of impending doom! Ignore it!," they say. Of course, whenever an important person insists that the rest of us ignore something, that just makes me more curious about it. The bond yield curve has in the past been a signal of an impending recession. When the interest yield on the 10-year US Treasury bond becomes the same as the two-year bond, recessions have often followed. The "curve" is the line that plots the difference between them over time. Right now that line is trending toward zero, or flat. If the line goes below zero — an "inversion" in which the yield on the two-year bond would be greater than the 10-year — that traditionally signals something is very wrong in the market. Why? Because a flat or negative yield curve suggests investors believe keeping your money in short-term bonds is more uncertain than bonds that pay off a decade from now. Think about it. That position doesn't make sense. Why would you be more certain about 2028 than 2020? Thus, when the curve inverts, it signals something very risky is happening in the near-term asset markets. Right now some loud voices are insisting that this time it's different. This time the curve is wrong, they say. Chairman of the US Federal Reserve Jerome Powell helped this view along when he testified to Congress in mid-July that the curve's flatness was not the most important thing about it. Rather, he said, it is what the curve says about the neutral rate of interest that really matters. The "neutral rate" is a complicated concept and we don't need to go into it here. But the upshot is, he didn't say that the yield curve was per se doing anything bad. "Before looking at why this myth is not true today, there are two very obvious reasons not to believe the story. The myth suggests that bond dealers know more about the future than anyone else. Indeed it suggests bond dealers know more about the future than economists. That does not seem very likely. The myth also suggests that the US yield curve has some magic ability to forecast the future, but other country's yield curves do not. The UK yield curve has inverted for years at a time with no recession. The Japanese yield curve has not inverted since 1991, in spite of one recession after another. ... If bond yield curves can predict, they should be able to predict everywhere. They do not." 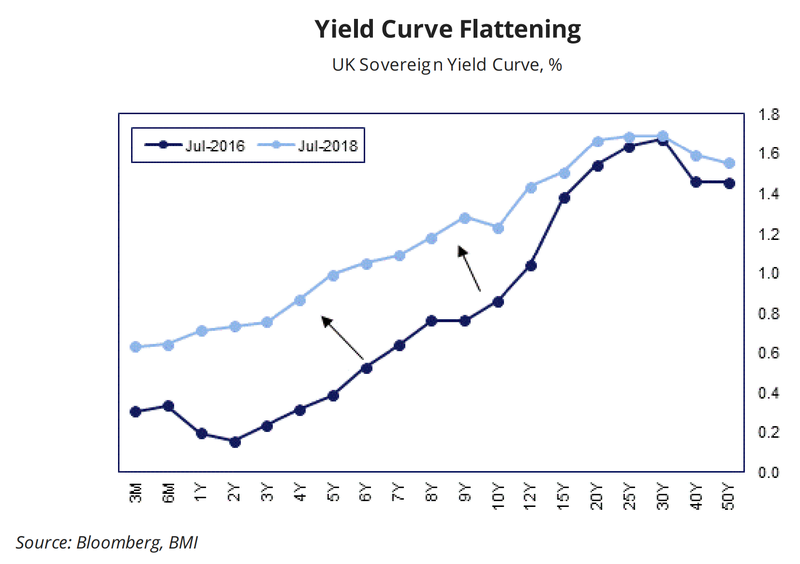 Here's the UK version of the yield curve ... it's getting flatter too. "It's kind of like, I don't believe in torture, because torture is immoral, but also, a tortured prisoner is going to lie to you"
"Central banks have been buying long-term bonds like never before, and they're basically sitting at the long end of the yield curve, and that's distorting it. It's kind of like, I don't believe in torture, because torture is immoral, but also, a tortured prisoner is going to lie to you. The yield curve is being tortured by central banks, and is going to tell us lies. Now, it doesn't mean there couldn't be problems in the future, but we're going to need a better measure of what's going on than the yield curve," he said. And it is difficult to ignore Mohamed El-Erian, the chief economic adviser at Allianz, who, writing for the Financial Times recently, said "yield curve messaging about the prospects for nominal growth should be taken with a grain of salt — especially when many commodities continue to point to robust global activity." These are all smart people ... right? These are all smart people. And they are right that central bank buying activity has distorted the curve in a way that they may not have in the past. But the curve doesn't only measure the holdings of central banks. The curve reacts to a lot of things. 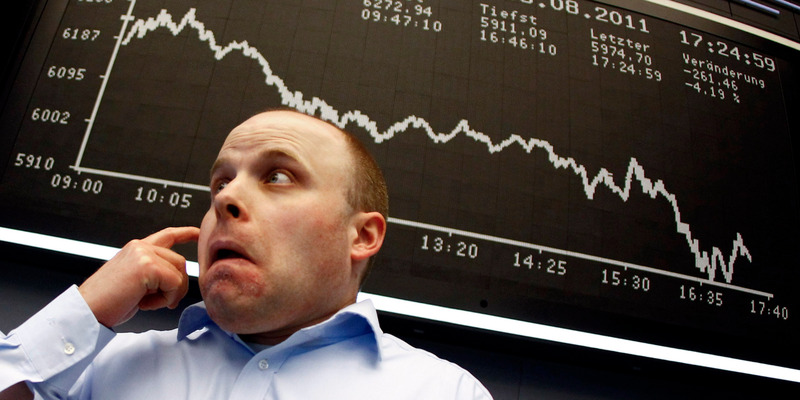 For instance, it reacts to how investors feel about risk in other assets. If investors think the world is suddenly going to become very risky, very soon, they will pile into bonds they think are safe. Why put your money in two-year bonds if the reason you are switching to bonds is that you don't know what the heck is going to happen over the next two years? In an uncertain world you might conclude that 10-year bonds are a better bet. There is a ton of uncertainty in the world. North Korea. Chinese debt. Trump's trade wars. Brexit. Italian debt. Right now much of the economic and political world looks as if it is composed entirely of uncertainty. It's bad today. Surely we'll have fixed the world in 2028? And although some smart famous people think the yield curve is broken, there are some equally smart not-so-famous people who are watching it very carefully. CLSA's Christopher Wood pointed out to clients recently that aside from the Fed's Powell, the rest of the Fed is still watching the curve for recession signals: "The FOMC minutes of 12-13 June reflect a clear lack of consensus on this yield curve issue. 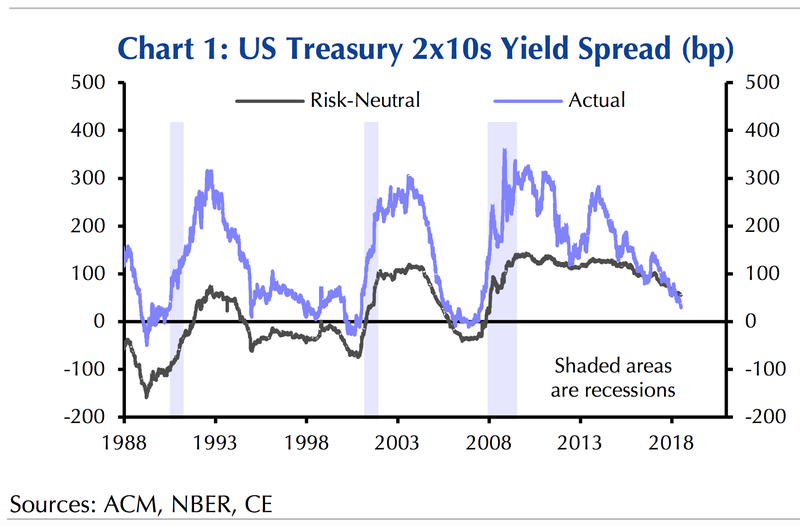 To quote from the original: 'A number of participants thought it would be important to continue to monitor the slope of the yield curve, given the historical regularity that an inverted curve has indicated an increased risk of recession in the United States.'" "A stagflation scenario – the combination of negative growth surprises and positive inflation surprises – would not be constructive for risk assets. That’s particularly if policymakers – in the face of a trade-off between low growth and high inflation – opt to combat rising inflation. In light of positive output gaps, rising core inflation and pro-cyclical US fiscal policy, this might not be unreasonable. This could invoke a tighter policy response, hampering longer-term growth expectations and speed up curve inversion." Given that, I'm going to keep watching the curve.